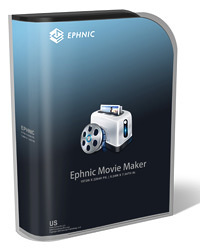 Ephnic Movie Maker for Mac is the most easy-to-use yet powerful movie making software on Mac. With Ephnic Movie Maker for Mac, you can add your digital photos and video clips to make lovely home movies with background music for your family and friends. To make your movies more stunning, just add subtitles, and transition/theme effects on them and share home movies on Apple TV, YouTube, iPhone, etc. Convert your videos for watching anytime anywhere. 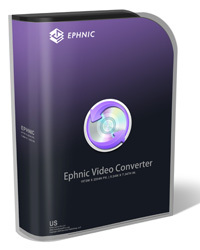 Ephnic Video Converter for Mac quickly and easily convert video files between the most popular video & audio file formats for high quality playback on mobile devices, including the iPhone and iPad. Watching videos in the living room or on the go is all up to you! Now convert your videos to upload to YouTube, and post to facebook/Twitter for sharing with family and friends with Ephnic Video Converter for Mac. The best way to illustrate something happening on your screen is to show someone with the video demos. Whether you want to train people on a particularly difficult program or show everyone how to fix a problem you've run into before, recording a screencast is an easy way to do it. 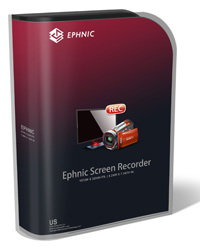 With Ephnic Screen Recorder for Mac, you can record everything displaying on your computer screen, even online videos. 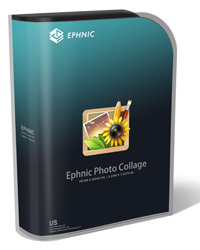 Highlight your family trip or share a collection of your wedding photos with family and friends with Ephnic Photo Collage for Mac.